Unload your cargo — the best productivity hack. Sometimes, believing in yourself is not enough — self-empowerment can hinder rather than improve your productivity. Have you ever seen a truck stuck under a bridge? It feels both hilarious and absurd. Why hasn’t the driver prevented it? We all fall into that trap — we believe that willpower will help us achieve the impossible. However, our time has limited capacity, just like a bridge. When we try to do too many things, we can’t make it through. That’s why we have productivity all wrong. The idea that we can (and should) do everything is deceiving — we get stuck like a truck under a bridge. Being productive is not about doing more, but enjoying the journey. Being overloaded doesn’t help, what’s the point of getting stuck? 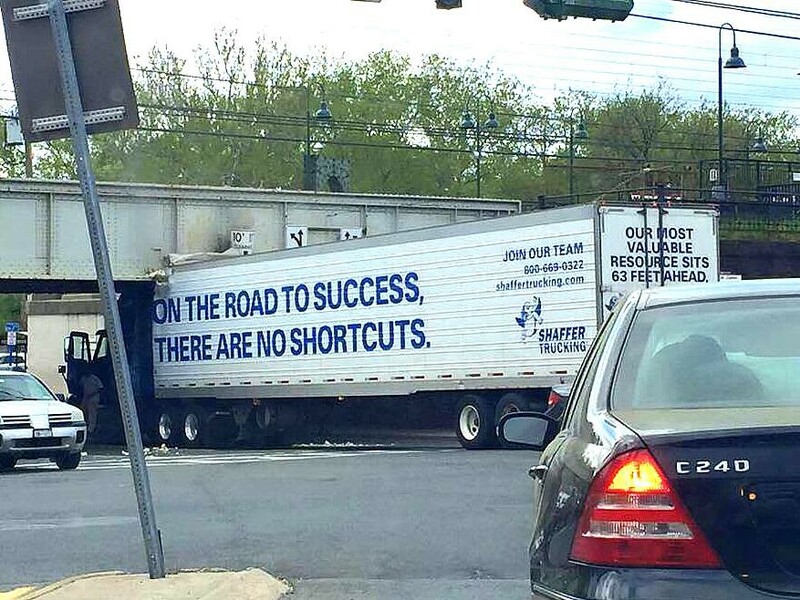 The first step is to clear your path — remove the truck from under the bridge. Time is not something that we have; we make time. Rather than trying to raise the bridge’s height, you have to unload your truck. Acknowledging that you cannot add more hours to your day is critical — you have to do fewer things instead. Unfortunately, we use being busy as a badge of honor — we feel more important when we are overloaded. We end juggling as many balls as possible without realizing if they are worth our time. Being busy causes us to act mindlessly. We are running from one task to another without reflecting on why we are doing what we are doing. Busyness makes us live on autopilot. Time is not neutral — be intentional about what you choose to do. When you say yes to everything, you are saying no to what really matters. That’s the biggest issue with being busy: we end doing the wrong things. What if I tell you to focus on doing fewer things? Unload your truck. The secret of being productive lies in choosing what to do — and doing it right — instead of doing more and more. Sometimes, what’s supposed to make us more productivity, adds additional load to our schedules. The ‘do more and do everything’ approach to productivity is not working — it’s a stressful trap. Focusing on doing fewer things, but better, is the opposite — it’s a liberating experience. You remove more than tasks — you reduce the guilt and stress load too. When we are busy, we don’t leave time to think, reflect, or enjoy. We are running from one task to another without being present. Your mind needs space. Silence helps us reflect. Emptiness attracts creativity. Distance brings perspective. Simplifying your productivity mindset requires following these three principles. We are an action-driven society — we admire busy people even if they don’t achieve anything. That you can do more doesn’t mean that you have to do everything. Being mindful about what you do (and don’t) is critical to eliminate unnecessary tasks. What drives your life? What really matters to you? When you remove what’s non-essential, you make time for what matters. The urge to check things off our lists forces us to do stuff without thinking. We don’t have time to do things right, but there’s always time to do them twice. Let’s recover the value of quality. How do you measure your own productivity? Focusing on quality is ensuring you don’t waste your limited time in doing the same thing twice. 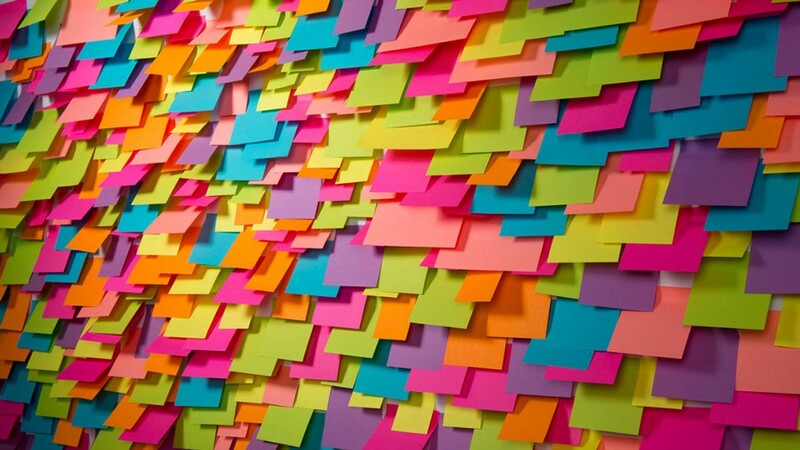 Approaching our work by tasks is a distraction — endless to-do lists fuel more stress. Shift your attention from doing to the impact you want to create — moving the needle matters more than how busy you are. Can you turn your to-do list into an achievement list? Connecting your work with the outcome will increase your motivation. It’s not the same going grocery shopping (a task) than preparing a meal to treat your friends (a rewarding experience). Productivity is not about doing everything, but doing what matters. Be mindful. Do fewer things, but better. Establish clear priorities — what do you want to achieve? Productivity is not about doing more, but about making what matters happen. Prioritization is vital to recover control of your life — define your preferences or someone will do it for you. This productivity exercise will make your load manageable. If you don’t have clear priorities, someone will define them for you. Reflect on the impact you want to achieve in your personal and professional life. Focus on projects rather than on tasks. Start small — build a habit first rather than on trying to change the world overnight. Keep it simple. Review the initial ranking. Play around a couple of times until you feel happy. Remember you are aiming for fewer. Most people fail to focus because they believe everything is a priority. Challenge yourself. Prioritization is more than merely ranking activities from more to least important. It’s about clarifying what matters and what doesn’t. Eliminate unnecessary projects (Categories 1–2) — check out this exercise I use to coach teams get rid of unnecessary workload. Practice reviewing your priorities on a regular basis. Identify what’s working and what’s not. Every bridge has a different height — adjust your load to your tolerance and availability. Find the sweet spot — be flexible but don’t change priorities all the time. Learn to say ‘no’ more often. Saying no is not being rude — your choices define how you live, as I wrote here. Think twice before you say ‘yes.’ Most people accept requests or meeting invitations without checking their calendars first. Avoid overloading your schedule. Leave empty spaces for taking care of meaningful work. Block your ‘me-time.’ This doesn’t mean being selfish, but saving time for what matters to you. I mark my exercise, lunch, learning, writing, and meditation time on my calendar. No one can steal the time you block first. Create pauses in between tasks. I always protect time in-between meetings. I need to reflect after one, prepare for the next, or maybe I need a (bio/coffee/reflection) break. Eliminate the noise. Get rid of any app you don’t use. Turn off notifications when you are doing work that requires deep focus. If you are in a meeting, put away your phone and other distractions. Learn to have your mind where your body is. Be in the here and now. If you pay attention, you won’t need to do something twice. Be mindful of your energy level. I’m more focused and energetic early in the day and after 4 PM — that’s when I write, design new workshops or services. During my low-energy hours, I do research and take care of less-demanding tasks like emailing, marketing, and administrative stuff. Saying yes to what matters requires eliminating the unessential. Be ready for push-backs from both yourself and others. Shift your productivity approach from doing everything to doing fewer things, better. Being busy is not a badge of honor. Unload your truck before you get stuck. Achieving what you want is more rewarding than being busy. Enjoy your journey.